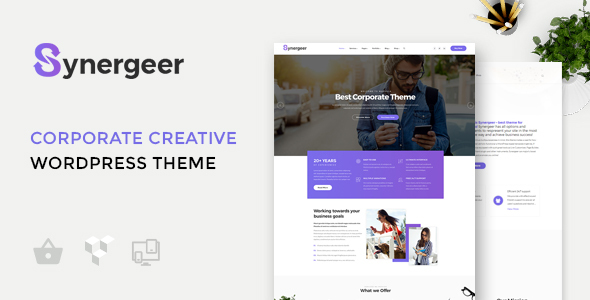 Try out this fully responsive Corporate WordPress Theme to set up a fast and reliable website for your corporation or business. Fast, elegant and reliable, as any respectable corporate website should be, your future website will definitely make a nice impression on itâ€™s visitors. This theme comes with a set of pre-installed plugins. Plugins will greatly expand functionality of your website. For example, with the help of the Visual Composer, you can make personal page layouts in addition to already included in the theme. Visual editing with instant drag & drop, instant live edit, and instant page load as a result.